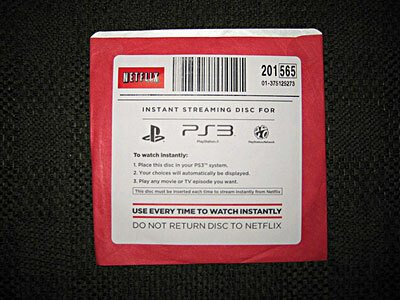 A Netflix application for PlayStation 3 will become available this October, potentially replacing the streaming PS3 disc Netflix subscribers currently use. This news was revealed in a Netflix Q&A session last week, when Q2 earnings were released. But will the application require a subscription to Playstation Plus, a membership which costs $49.99 per year? Most PS3 owners would probably opt to use a software app rather than a cumbersome disc. However, if a subscription is required (as is with Hulu Premius Plus) some Netflix subscribers may just continue using the disc if Netflix doesn’t make any changes. Things will remain the same for the Wii system, according to Netflix CEO Reed Hastings, who did not announce any planned app for the console. “At this point the Wii’s forecast will still remain a disk based model,” Reed said. While Netflix shares dropped July 22 after the earnings report was released, the company ended the second quarter of 2010 with approximately 15,001,000 total subscribers, representing 42 percent year-over-year growth from 10,599,000 total subscribers at the end of the second quarter of 2009.